Twenty-four year old Mia Dennett is the daughter of Chicago Judge James Dennett, a man of old money and dismissive family responsibilities, and British Eve Dennett, a homemaker and socialite. Sister to Grace, the oldest and a lawyer just like their father, Mia doesn’t buy into the family lifestyle; instead, she is an art teacher. Jason, her inconsistent boyfriend, is supposed to meet her on the night she is kidnapped but calls to say he has to work late. From the beginning of the novel, the reader is aware that Mia has been taken by a man named Colin Thatcher and that he kept her in cabin in Minnesota. In fact, Mia has already been found only a few chapters in. What follows is a mixture of multiple perspectives, both before and after Mia is found, telling the story of how Mia, who refers to herself as Chloe, copes with her kidnapping, how Detective Gabe stops at nothing to find her, and how her mother Eve tries to solve Mia’s trauma-induced amnesia and help her remember the truth. While many will suggest that Kubica’s novel follows in the same vein as Gone Girl, I actually found this to be much more entertaining. I could not put this book down whereas I struggled through Flynn’s multiple narrators. What works for Kubica is her uncanny ability to seamlessly weave both time and storytelling. The chapters are short, and each character’s narration adds something new and unique to the plot. Colin’s “Before” chapters are the most interesting because it is through his eyes that you see what actually happened to Mia, which she doesn’t remember. I found myself anxiously skimming through some other chapters just to get to the Colin pages. Detective Gabe’s chapters are interesting as well because you can watch as he puts the pieces together to find Mia while also developing a closer relationship with Eve. Perhaps least interesting are Eve’s “Before” accounts because she tends to be a little “woe is me” whereas her “After” chapters are fascinating because the reader watches her become the mother she wants to be. 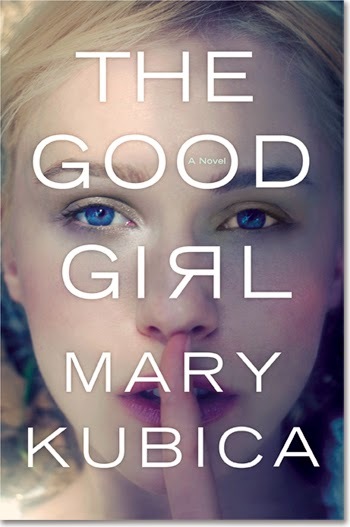 The Good Girl is filled with twists and turns leading all the way to the last two pages where you will be absolutely floored. Don’t skip to the ending; it’s worth the wait!